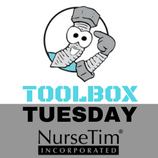 Toolbox Tuesday is a weekly blog series by NurseTim, a leader in faculty development and student preparation. 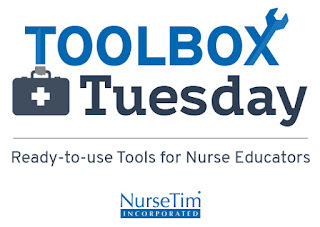 The tools featured each week are mapped to the NCLEX® Test Plan and the QSEN Competencies. These ready-to-use tools help educators quickly implement evidence-based learning strategies that engage learners. Never miss a tool by signing up to get blog updates via your favorite RSS Reader or email. Because most professional nurses deal with pharmacological safety on a daily basis, this activity will help students to keep this focus as well. ◦ Using an online quizzing tool, or even paper quizzes, the students practice with principles in pharmacological safety on a weekly basis. ◦ Make part of the participation grade OR extra points for the exam. ◦ Can be 5-10 questions a week with the questions focusing on the topic of the week. The questions can include a bit of calculations, safety, pharmacology knowledge. ◦ No need to make this proctored. There are many clinical calculation type programs available at a very reasonable cost for students. There is usually not a need for the school to purchase a site license. Also, most text books are going to include a large number of free test bank items that will be useful for this activity. While faculty are encouraged to develop and improve on these quiz items, they are reminded that this is more of a homework assignment than an assignment that will give statistically sound program data. In the 2010 NCLEX®RN Detailed Test Plan there are 9 “Related Content” items under Pharmacological and Parenteral Therapies. Maybe you would like to focus one “Related Content” item each week? Allows students to synthesize data learned related to nursing care and patient interaction. Highly engaging for the entire class. ◦ Form groups, develop skits. The nurse asks the client to explain self-administration of insulin. ◦ Skit 1 - The client explains correctly. ◦ Skit 2 - The client explains self-administration incorrectly. ◦ Audience Participation - The audience has to identify which one is correct/incorrect. They will also provide feedback. ◦ Other scenarios: mom administering medications to child, client explaining what ‘she’ can do to prevent UTI. Audience feedback can be done online in a discussion board/forum. Discussion forums are often part of the free course management system that comes with many textbook. No need to ‘purchase’ software. Can do everything from an in-class spur-of-the-moment activity to a graded group assignment that requires pre-assignment preparation. May also ask students to create videos to put on facebook®, YouTube®, or TeacherTube® (see Appendix for Tips). This year we have built programming just for new faculty. Our goal is to empower and educate the new educator in their role. Retaining new faculty is everyone’s job and we take that very seriously. We realize that if we empower the next generation of faculty, we are providing current and future students with the best education possible. Join us this year in encouraging the next generation of faculty. Share your story of how you have encouraged others on our Facebook or LinkedIn pages. For more information about these conferences, visit our New Faculty Institute and New Faculty Orientation pages. 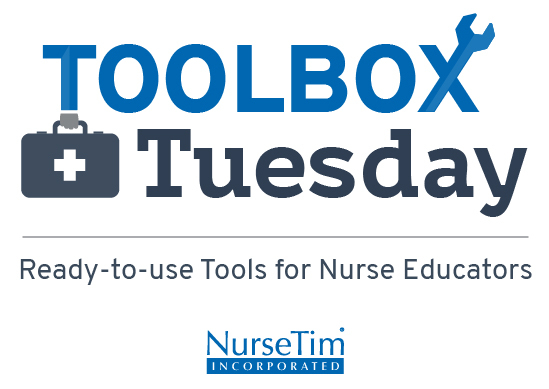 For video resources, visit NurseTimTube. When you create a video for students, ensure to engage them and implement active learning during the video. Ask the students to do things that will help them learn and retain key concepts. Get them up out of their chair. Give them a focus when reading their textbooks. Challenge them to prioritize as they review material. Help them identify what is most important in their study/reading time. Then when they come to class, they will see that the activities they did while watching your video were meaningful. 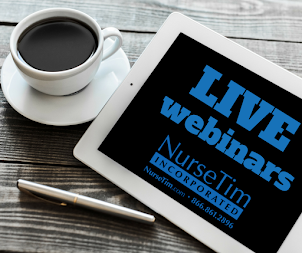 For more video resources, visit NurseTimTube. CMAP Tools – Free concept map tools. Google Earth® – Have nursing students conduct a windshield survey from a satellite. Merlot – Free learning activities that are peer reviewed by faculty. ProProfs – Free quiz maker. PuzzleMaker – Free puzzle maker. Voice Thread – Students/faculty share images, videos, audio. 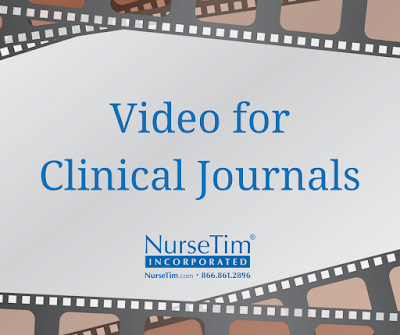 Could our students meet the clinical journal requirements with a video? Watch this NurseTimTube video to learn more! For the Role Play / Simulation / Video observed, please provide feedback per the instructor’s directions. Be sure to include a Client Need focus.